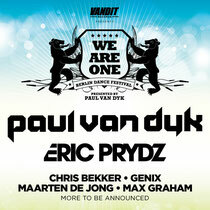 Paul van Dyk recently announced the first round of DJs joining him in the surrounds of Berlin’s famous Zitadelle Spandau for the third We Are One Festival. With just under four months to go, last year’s festival drew a capacity crowd of electronic music lovers from all corners of Europe and far beyond. 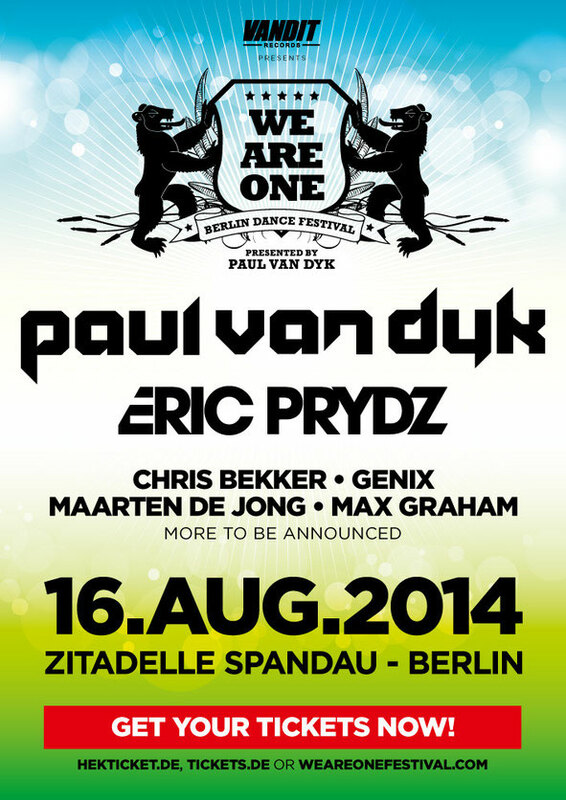 Among those joining van Dyk for the 2014 festival will be Swedish-born/LA-based Eric Prydz, who will be fuelling the Zitadelle Spandau crowds with his handcrafted fusion of house, techno and progressive. Also taking the stage at the height of the Berlin summertime will be Genix and Maarten de Jong, local lad Chris Bekker and Canada’s Max Graham. In other PvD-related news, he recently become the recipient of several new awards. Whilst Miami’s Music Week was in full swing last month, he was presented with MTV’s Chiuku award, previous recipients of which have included Eva Longoria, Shakira, Nelly Furtado, Morrissey and others. 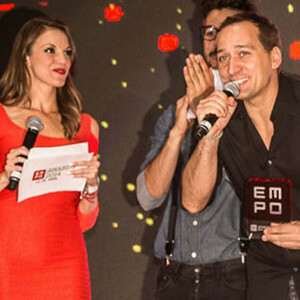 Having already picked up Russia’s Burn DJ trophy earlier in the year, recently, whilst on tour in South America, he was also honoured with EMPO TV’s Lifetime Achievement Award. MTV LA’s Chiuku Award “recognizes those in the public eye who are committed to the betterment of their communities and use their influence to become catalysts for effecting change”. At EMPO’s sixth annual awards ceremony/party in Mexico City, Paul rocked the Mexican capital’s 20,000 strong crowd, which had gathered for the South American music television station’s annual awards. You can check his EMPO Awards set below.